Hey pretty girls! 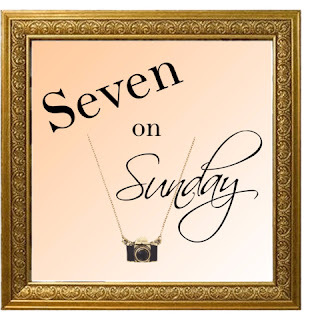 It's Monday and Carrie, Whitney and I are hosting our regular Monday link up ~ A Lovely Little à La Mode Link Up, so link up with us below or check out some of the wonderful bloggers and be inspired! Also, use the hashtag #lovelylittlealamode on social media if you link up! 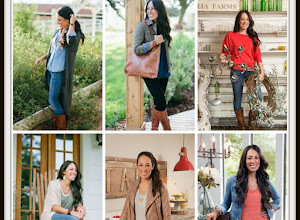 Style Lesson #1 ~ Casual doesn't have to mean frumpy. Reece is a busy, working mom and sure she has people to help her out, but I feel like her street style is very REAL. It's simple and casual, but she always looks put together. Shorts, a cute sweater and a necklace--adorable! Jeans and a striped top--can't go wrong! Easy outfits that can get you out of the door quickly, but look like you made an effort. Style Lesson #2 ~ Wear color! Reece is the queen of color! She does color SO WELL. And it's not crazy or outlandish-type color that she wears. Choosing ONE item for a color pop is great strategy. Below she does colored pants, bright sweaters and a neutral outfit with those to-die-for pink heels! 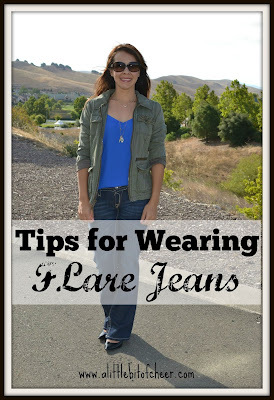 Style Lesson #3 ~ When in doubt, jeans. So much of Reece's street style is jeans. She's a girl after my own heart because I am a total jeans gal. 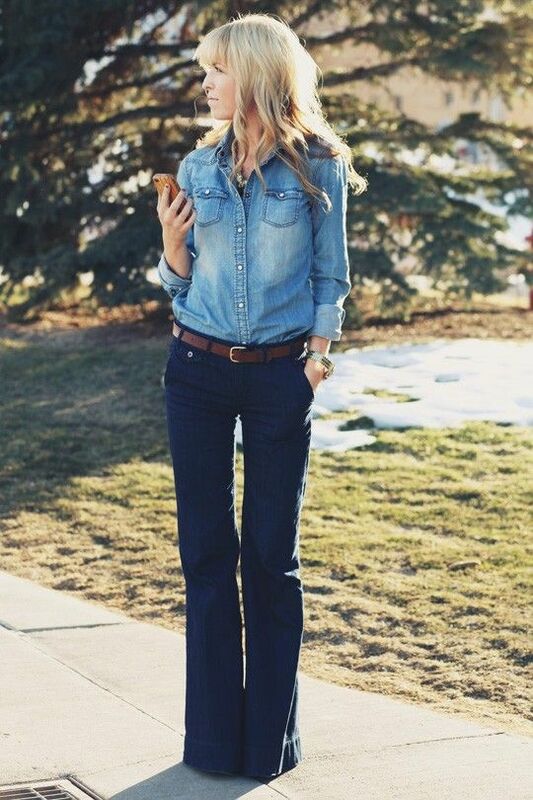 Jeans can be dressed up or down, they are super comfy and go with everything! Jeans for the win! She pairs her jeans with cute, patterned tops, awesome shoes and fun bags. Style Lesson #4 ~ Sunglasses. All the time. She's a Southern girl who (i'm assuming) also spends quite a bit of time in LA--so girlfriend knows how to rock her shades. There are very few picture of her withOUT sunglasses, actually! And this is where Reece and I connect again--i wear my sunglasses year-round, almost every time I am outside (unless it's raining, which is hasn't in forever here in Northern California). Sunglasses can hide a multitude of sins, lemme tell you! From tired eyes., wrinkles, fine lines, bags, tears! I literally cannot leave the house without my sunglasses either, Reece! Style Lesson #5: Style doesn't have to be complicated. Like I said before, Reece's style is very simple and effortless. She is a great example of how simple, classic pieces come together to look so put together and practical for a busy mom. Great fitting button downs, sweaters, jeans, a nice handbag and maybe a little delicate jewelry is all you need to recreate these looks below! What do you guys think of Reece's casual mom style? Each week we choose a favorite...check out Carrie and Whitney's blogs to see if it's you! 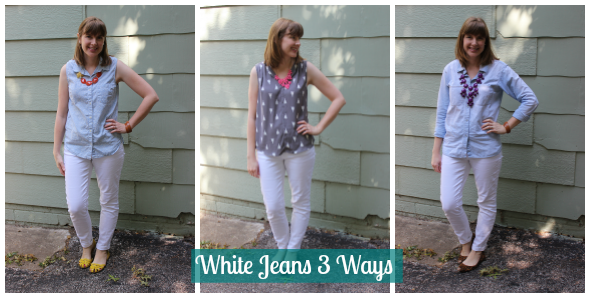 Here was my favorite this week ~ Shea from Shea Lennon shows 3 super cute ways to wear white jeans. 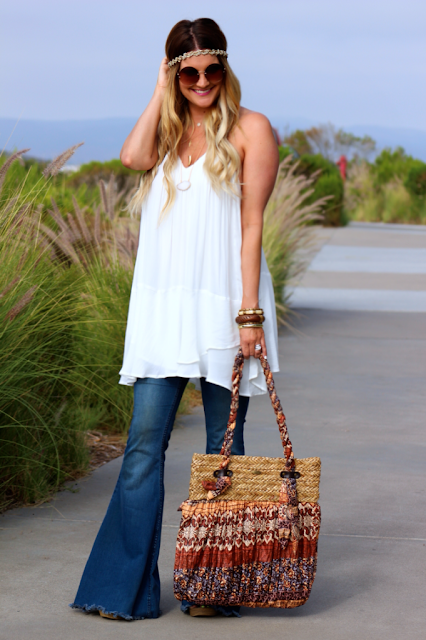 I LOVE wearing my white jeans year-round and I love her cute, simple, put-together outfits! See her original post HERE. Now let's get linking! We like to keep things simple around here. 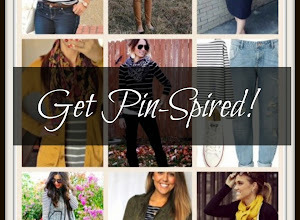 Just link up your favorite posts--fashion, beauty, food, DIY, anything goes! Follow your hosts on social media, have fun and be inspired! Use the hashtag #lovelylittlealamode on your social media posts! Thanks for linking up! Happy Sunday! It was a full week back to the routine...school, homework, soccer, Dr. appointments! Fun, fun! Day 2: Monday ~ Started The Fix!!! It's been AMAZING so far! It's forced me to eat fruits and veggies, drinks tons of water and the work outs kick my booty! It's tough but I love it!! I'll post a full review if I live to tell because this is definitely a program I fully believe in..not some whacked, unhealthy "diet." I haven't felt this good or energetic in YEARS! 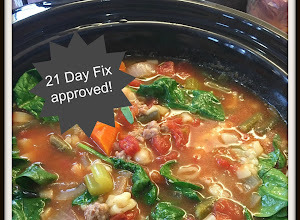 Day 3: Tuesday ~ I was super worried when I saw the 21 Day Fix containers you're supposed to eat from...they look SMALL! But he's a meal I had this week....Penne, meatballs and salad...it's a TON of food!! I guess the key is, it's the RIGHT kind of food :) Still getting used to whole wheat pasta :) I have to say, this week following the plan, I have NOT been hungry! Pretty amazing. Day 4: Wednesday ~ Love sunny days with this kiddo. She's getting great at riding her bike..although she's still a little reckless! Day 5: Thursday ~ You know I love all kinds of CLOTHES :) These are a little harder than most items in my closet, though. Especially that last one..gets me every time! Day 6: Friday ~ I got to take Brookey to soccer practice ALONE today, so it gave me a chance to catch up on my reading a little. I started this book....it's SO GOOD! It's all these amazing stories about these people who basically reached rock bottom in their lives and somehow found grace. 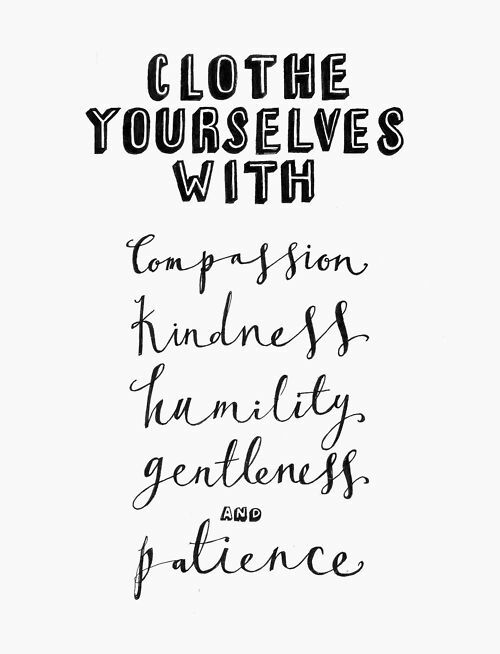 With all the negativity out there, it's nice to be reminded there are wonderful, amazing things going on around us. 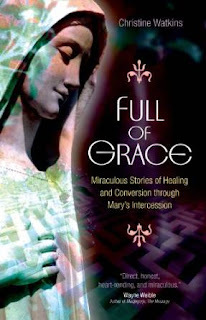 Such an inspiring read from a local author AND former atheist! Day 7: Saturday ~ First soccer game of the season!!! Electric Tigers and the Dark Force!! (yeah, I didn't choose those names, FYI). They both did really well! I think Buddy scored most, if not all the goals for his team! LOL! 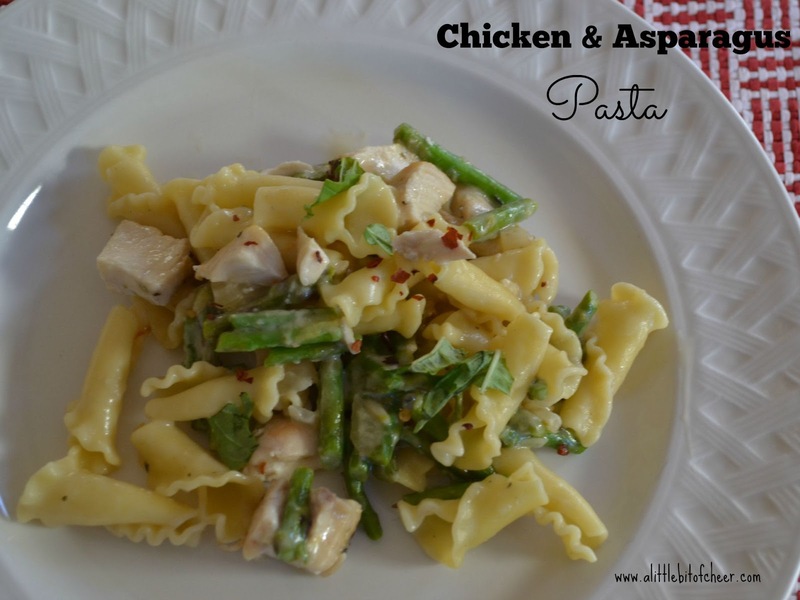 Alrighty girls--you all need to make this pasta dish, pronto!! Before it's too late to get good asparagus!! Asparagus has peeked but it's definitely still possible to get a few good bunches!! I came up with this recipe with no real direction besides the fact that I know I wanted pasta, I wanted something on the light side and I had just picked up this gorgeous bunch of asparagus at a local farmstand. So I created this dish not know AT ALL how it would turn out and boy, was it a hit!!! The sauce is light, but the Parmesan makes it creamy and delicious! The touch of lemon you add at the end is just perfect! 1. Season chicken with salt and pepper. In a large skillet cook chicken in a little olive oil about 5-6 minutes per side until cooked through. Set aside to cool, then cut into bite sized pieces. 3. In the skillet you used to cook the chicken, add a little more olive oil, then saute garlic for about a minute until fragrant. Add asparagus and cook until still crisp. 4. Whisk together chicken stock, flour and milk. Pour unto skillet, bring to a boil and allow the sauce to thicken a bit. Stir in Parmesan cheese. 5. Add pasta to the skillet, along with the cooked chicken. Stir to combine. 6. Add the lemon juice, zest and red pepper flakes (if using). Stir until everything is well combined. Serve immediately with some awesome bread to soak up the sauce..you will not want to waste a drop! Hey pretties! I haven't done a Mom Style Files post on awhile, so it's about time! . 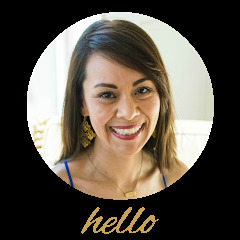 If you are new to this blog, I try to do a Mom Style Files once a month. The goal of my "wardrobe" posts are always to give approachable, wearable outfits/styling ideas for busy gals (moms in particular, but anyone else too!!) As I've mentioned before, I don't show any outfits the blog that I haven't worn (or would wear) "in real life." I want to get back to doing both full body and top-down outfit photos for Mom Style Files, but this month, all I have is top down--sorry! If you follow me on Instagram, you have seen many of thee outfits already!! Follow me on Instagram HERE. Outfit 1: This is my favorite Barcelona cami!! It's sold out, but I linked another adorable one below! Outfit 3: I love cobalt blue and pink together! Outfit 4: I was feeling very summery today! Outfit 5: This Target chambray top is one of my favorites! It's sooo soft! And of course, my floral shorts on repeat! Outfit 6: I LOVE this new necklace from Stella and Dot! You can take off the blue beads and just wear it with the gold layers. It's so cute, casual and versatile! It definitely spiced up my denim shorts and white tee! Outfit 8: For some reason, I am loving black and white right now! It's just simple and classic. Outfit 10: I picked up this floral top at Target last fall and I am finding I can wear it spring, summer and fall! Last fall I wore it with burgundy jeans and black jeans. I've also worn it with short and this gray skirt. Super versatile! 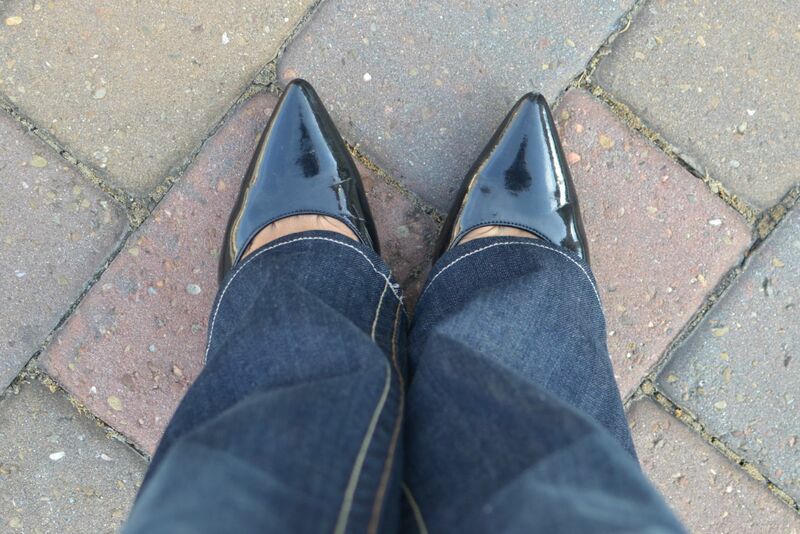 One of my first posts when I started posting "Wardrobe" topics back in the spring was about my 15 year old flare jeans and how I had pulled them out, dusted them off and felt right on trend! Read the original post HERE. Since I find it's just not practical to wear the super-flared bell bottom type jeans that are popping up, I use the term "flares" and "boot cut" pretty interchangeably. 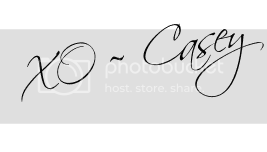 CASEY'S DEFINITION OF FLARE JEANS ~ jeans that are bigger at the bottom, and not-skinny or straight leg. Synonym: Boot cut. ** Pura Vida is offering free shipping for all U.S. orders and 20% off through August with code BACKTOSCHOOL20! Flares also work well when paired with a structured blazer, jacket or cardigan. 2. SHOES: On short gals, wearing flares with a little heel always looks best. 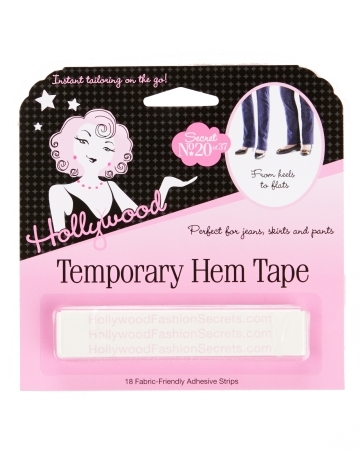 The flared leg can make us look stumpy with flats. Taller gals can get away flats, but flares always look better with a heel of some sort. Pointy-toed heels and flares are a match made in heaven. For shorter gals, a kitten heel with a pointy toe can work too, if you can't wear higher heels. 3. TOPS: I prefer wearing flares with a more structured top or jacket. If you get too baggy on top it clashes with the bagginess of the flared leg. 4. CHANGING LENGTHS: Want to wear your flares with flats and heels? You can change of length with this Hollywood Tape! I hate the idea of only being able to wear certain jeans with certain shoes. This solves the problem! Have you guys tried this?? It's AWESOME! 5. WASH: Dark wash flares are ALWAYS the most flattering. If you are new to flares, I'd start with a darker pair. 6. LEG OPENING: Tall gals can get away with a larger leg opening, while us short gals need to proceed with caution. The width of my leg opening on the jeans I am wearing above is 8 inches. That is as flared as I will go, otherwise I risk overwhelming my 5'4" frame and looking sloppy. If you aren't ready to make the plunge to full-on FLARE jeans, try searching for ones that are boot cut, trouser-style or "skinny flares." Do you own a pair of flare jeans? Would you ever consider it? 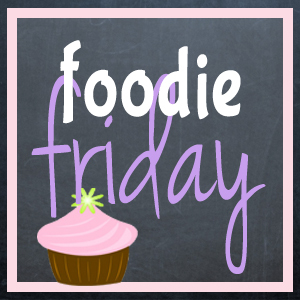 Each week we choose a favorite...check out Carrie and Whitney's blogs to see if it's you! Here was my favorite this week ~ Shauna from Lip Gloss and Lace. Can this girl rock a pair of flares or WHAT??!!! So awesome! See her original post HERE. J. Crew Factory ~ Model vs. Me! School Lunch Packing ~ GAME ON!! The Next Challenge ~ WORK WEAR!!!! Classic Color Combo + ThredUp!